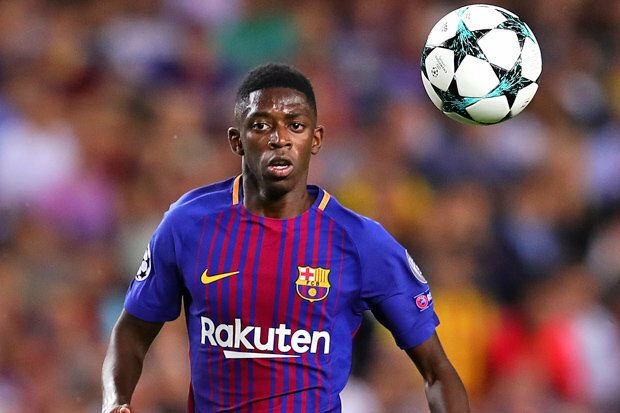 PSG in the battle to sign Barcelona winger Ousmane Dembele in this transfer window. Arsenal negotiations with French footballer failed and now Parisians are favourite in this battle. Blaugrana added Bordeaux forward Malcom in this summer and there are too many attackers in the club. So someone has to change the working place and the French club want to use this situation and sign Ousmane. The 21-year-old had an impressive first season in the Catalan club as he won La Liga and with his national team achieve big success in the World Cup. Man United and Arsenal were battling for the footballer but transfer window in Premier League closed and they can’t add the player until January. Dembele joined La Liga giants from Dortmund in 2017 with a £134m deal. In this season France international played 35 games, scored 6 goals and made 6 assists in all competition. He had an injury and missed many games and this isn’t a bad result. Ousmane contracted with the club until 2022 and his release clause is around €80m. This price won’t be a problem for PSG as they paid nearly half billion for signing Neymar and Kylian Mbappe.